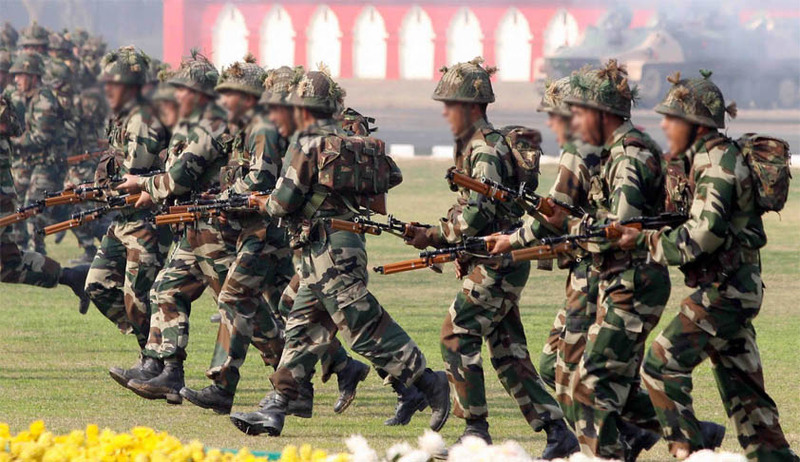 A Division Bench of the Supreme Court on Monday upheld the Indian Army's 2009 “command and exit policy” allowing preferential promotion for officers serving in the command unit. The Bench, comprising Chief Justice of India T.S. Thakur and Justice Kurian Joseph also directed the Government to create 141 additional vacancies for promotion of combat unit officers. The Court was hearing appeals filed under Section 31 of the Armed Forces Tribunal Act, 2007, against a judgment passed last year by the Armed Forces Tribunal. The Tribunal had quashed the policy circular and directed the Government to consider the respondent officers for promotion to the rank of Colonel by creating supernumerary posts. Post Kargil War, the Government of India had constituted the Kargil Review Committee which was followed by a Committee headed by Mr. Ajay Vikram Singh, with a view to explore ways and means for enhancing the operational preparedness of the Indian Army in its fighting capabilities especially in Combat Arms. The Committee had submitted a report suggesting both short and long term measures that were necessary for restructuring the Officers’ Cadre of the Army. One of the significant recommendations made by the Committee was about lowering of age profile of the Officers in the Indian Army. The recommendations made by the Committee were accepted by the Government and 1484 additional vacancies in the rank of Colonel were sanctioned with a view to lowering the age of Commanding Officers in combat and combat support arms resulting in an increased upward mobility of the Officers Cadre. The additional vacancies were to be released in two phases spread over a period of four years from 2004 to 2008. In the second phase, another 734 vacancies were released in 2008. These additional vacancies were sanctioned by effecting upgradation in a phased manner spread over a period of five years and were directed to be allocated not on the basis of pro rata, but on “Command Exit Model” which the Government of India claimed were in consonance with the functional and operational requirements of the Army. Denial of pro rata share in the second tranch prompted applications before the Armed Forces Tribunal, challenging the Government’s policy on the ground that the same was discriminatory, arbitrary and violative of fundamental rights guaranteed to them. They prayed for quashing of the policy besides a direction to the Government of India to allocate vacancies in the rank of Colonel to each Corps on pro rata basis and convene Special Boards for promotion of the eligible Officers to such posts. The Tribunal’s order quashing the policy was challenged before the Supreme Court. At the outset, the Court looked into the committee report in detail and concluded that the Committee had indeed emphasized the need for bringing down the age profile of Unit Commanders in Operational Units only. The Court then when on to examine whether disregard of the recommendations during the first tranch, by allocating vacancies on a pro rata basis would by itself undo either the recommendations made by the Committee or the decision taken by the Government to allocate the newly created vacancies on “Command Exit Model” principle. This question was answered in the negative. The Court further held that officers in service streams do not constitute a single cadre with those serving in Arms and Arms Support for purposes of allocation of additional vacancies created pursuant to the recommendations made to the Government by Committee. The plea of legitimate expectation was disregarded by the Court, observing that there was no real basis for them to argue that the Government had either by representation or by any sustained course of conduct created an impression that any additional vacancies created to the lower age profile of commanding officers serving in Combat Arms or Combat Arms Support shall also benefit those serving in the Service Streams of the Army. It also observed that legitimate expectation as an argument cannot prevail over a policy introduced by the Government which does not suffer from any perversity, unfairness or unreasonableness. “There is nothing perverse, unreasonable or unfair about the policy that the age of officers serving in Combat Arms and Combat Arms Support will be lowered by creating additional vacancies to be allotted on Command Exit Model. In the absence of any perversity, unreasonableness or unfairness in the policy so introduced, we see no reason to allow the argument based on legitimate expectation to unsettle or undo the policy which is otherwise laudable and intended to render the Indian Army more efficient and better equipped for combat situations,” the Bench observed.